A freelance writer who revels in the 1970’s…and today. Thoughts on being a baby boomer and empty nester in 2011. I am embracing my empty-nesterdom, as well as being a member of the sandwich generation. 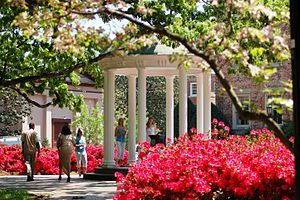 I graduated from the University of North Carolina at Chapel Hill with a Degree in Creative Writing and Art History. I have taken graduate writing courses from the University of Iowa Writer’s Workshop, the University of Florida, Georgia State University and Callanwolde Fine Arts Center. I have previously published short stories in several journals, including the Boston Literary Review. My short story, “The Guest,” won the Jesse Rehder Award from the University of North Carolina’s Cellar Door publication. I was selected to read my short story, “Cocktail Hour,” at the Southern Women Writer’s Conference last fall. I have also been published in the Atlanta Journal & Constitution. After working in museums and galleries over the years, I founded my own tutoring business. Currently, I am working on publishing a series of articles about, “Empty Nesting Baby Boomers.” My visual poem installation, ‘408 ransom street,’ is on exhibit at Women Centered Art in Charlotte, North Carolina. I’m adding some new folks to my blogroll in honour of my one year “blogiversary” tomorrow…is it okay if I put you in “She Said”? Thanks. Would love nothing more–thanks, Wendy! You can call me Reeling…for short! Do you mind if I do the same? I would be honoured…thanks, Reeling! I can’t thank you enough! This has been a tough week and you have just added pure sunshine to my day! I actually commented on one of your comments left on another blog (??? does that make any sense???) and then followed your link over here. Lovin’ what I’m reading! Thanks, AB! I love your blog but couldn’t see how to make a comment! Since you live in North Carolina (I’m assuming you still do), maybe you would like to come to our writers’ conference up here in Virginia Beach in September. I’d love to meet you. If you’re interested, go to our website, hamptonroadswriters.org. I love your writing. CE, I’d love nothing more! My brother and daughter live in Virginia, and I’d love to come and go to a conference and meet you! I’m back in town for 12 hours and leaving for the airport now and will be gone for a week, but when I get back I want to catch up with your posts. Meanwhile, I’d like to get the name of the conference etc. I so enjoy your blog, and Happy, happy Anniversary! Go to hamptonroadswriters.org for information on the conference which will be happening in three weeks. Would love to see you there. I have just discovered your blog–and am so glad I did. I too am an empty nester (daughter is Junior in college), baby boomer, and just trying to get along. I’ll be enjoying the ride! Welcome to the porch, msmouse! So glad you stopped by! We need to stick together since we may be twins separated at birth! Can’t wait to check out your blog when I’m back in town in a week! Lovely work here Reeling! Just wanted to leave a note to say haw much I enjoyed it. Thanks for stopping by the porch, Alton! Despite what the demographers say you gotta be born between 1945 and 1950 to be a real boomer. Since it is us, we set that rule. You also must have most of the anti Vietnam songs on a disc somewhere. With your Beatles stuff of course. I love your blog. 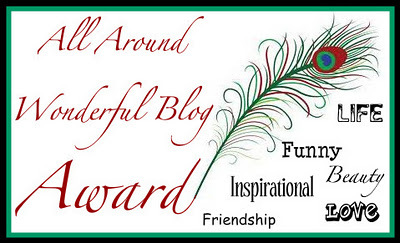 I hope you will accept a nomination for the One Lovely Blog Award! You can go to my blog for more info. It’s writersite and you add the .org afterwards. It’s today’s post “Gratitude x 7+.” I can’t link it here, I guess. Wow–thank you, Lucewriter! Will do with pleasure and thanks! Thanks for stopping by the porch!